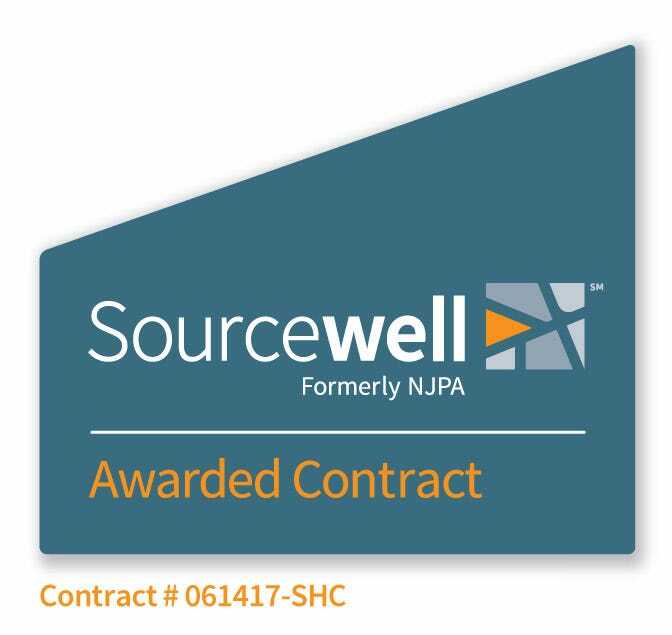 Sourcewell has awarded School Health Corporation national consortium contract 061417-SHC for Medical Supplies & Equipment. Competitive contract purchasing…save time and money…no formal bids required. For more than 50 years, we have been the leading provider of medical supplies to schools, public health departments, and sports medicine professionals. One-stop shopping on more than 20,000 products for school health offices, early childhood programs, special education departments, athletic training departments, speech therapist offices, and facilities management departments. Source hard-to-find products you don’t see in our catalogues. or contact us to activate your contract pricing online. Ask us how consolidating your school ’s medical and athletic supply purchases affects your bottom line. Sourcewell is a government contracting agency and member-owned cooperative with more than 56,000 members. Members are legally allowed to purchase off Sourcewell contracts while satisfying their own bidding requirements—saving them valuable time, resources and money! Membership gives you access to all of School Health’s advantages including great savings, high quality medical supplies, and world-class customer service. Join Sourcewell with no cost, liability, or obligation! Start choosing the best access to 20,000 medical supply products, the industry's leading customer service, and national leveraged contract pricing, while avoiding the unpleasant experience of low bid today! Cost savings on products or services through volume discounts and national leveraged pricing. Savings on administrative costs by eliminating redundant costs which may be associated with individual districts performing their own purchasing functions. Accessibility to more products and services. The district chooses what is best for its needs at lower costs. Sourcewell has the legal authority to procure, award and facilitate governmental contracts. Allows members to link up with a national effort to establish efficiencies within Education and Government. Joining Sourcewell is quick and easy—it takes only three steps and less than 15 minutes to begin leveraging great savings! Join Sourcewell by completing the Online Membership Application. It's free to become a member! Contact us to activate your contract online and receive the benefits of this contract, which include a 13% catalog discount. Some products may be excluded from this discount; other top sellers are included in a Sourcewell market basket. When ordering through School Health, please reference Sourcewell bid number 3300770 to ensure contract pricing.